Atterbury was born in Allestree, near Derby, in 1880. He began his career with Loughborough before a spell with Kettering Town. 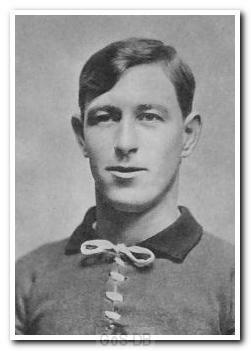 In 1899 he signed for Barnsley and made 34 appearances for the club before moving on to Wellingborough. In 1902 he joined Leicester Fosse, playing 22 times before a move to Swindon Town a year later. 'Sep' spent four years at the County Ground and played more than 120 times for the club. In the summer of 1907 Atterbury moved to Home Park, starting a 30-year association with Argyle. The club handbook for that season described him as "one of the sturdiest defenders in the south, being fast, daring and always a trier" and he became the first-choice left-back for most of the next eight seasons. An elegant player, he was renowned as a tall and strong full-back, who formed excellent partnerships with his defensive colleagues. 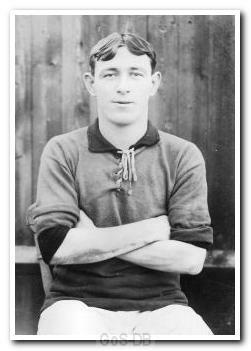 Atterbury was selected for the Southern League representative side in 1912-13 and despite his career being interrupted by war, he returned to Home Park to captain Argyle for much of their first season in the Football League in 1920-21. During the conflict he briefly returned to former club Leicester Fosse as a guest player. With his career coming to an end, Atterbury was appointed assistant-trainer at Home Park, but continued to play regularly for the reserve side in the Southern League, his performances being of such quality that, despite his age, he was again selected to play for the Southern League representative side in 1921. In November of that year he was granted a benefit match by the board, and was permitted to retain the proceeds of a Southern League fixture against his former club, Swindon Town. Despite this being a second-team match, a crowd of 7,000 showed the regard in which Atterbury was held. As a trainer he gained a reputation for an unconventional approach, which focused on stamina-building exercises, but with great success and he served Argyle in this capacity until his retirement in 1937. Septimus Atterbury arrived in Plymouth from Swindon Town in 1907 as a 17-year-old to begin an association with the Home Park club which was to last some 30 years, first as a player, then on the training staff. The greater part of his Argyle days were spent in the Southern League and he was renowned as one of the best full-backs in that competition. 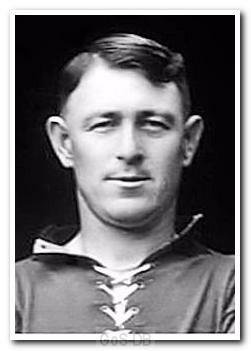 Tall and strong, he was to form partnerships with Jack Butler and, later, Moses Russell which ensured that the Argyle management had few worries over that department of the defence. By the time that Argyle had entered the Football League, Sep Atterbury's playing days were nearing an end and he had only one season of Third Division football with the club before joining the training staff and combining those duties with appearances for the Reserves. Even then, he was still considered good enough to be selected for the Southern League representative side. The circumstances of his benefit match in 1921 seem odd to the modern follower of the game. He was awarded the full proceeds of the Reserves' game against Swindon Town in November of that year. Since 7,000 people turned up at Home Park for that game, and contemporary reports seemed to find nothing odd in this, it is to be presumed that the arrangement was completely satisfactory to all parties concerned.